Between Friday 14th March and Saturday 6th September 2014 an intrepid bunch of cyclists raised money for Khushi Feet by collectively riding enough miles to reach Kolkata from Faversham. Here’s how we celebrated the end of the project: We’ve Done It! The Launch: The project was launched by Faversham’s MP Hugh Robertson. 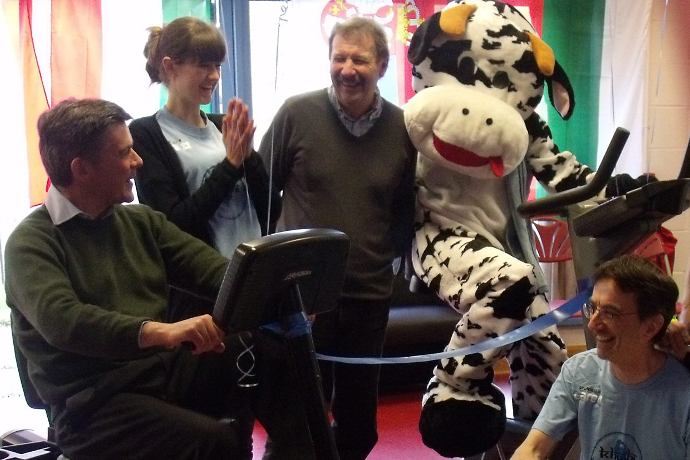 Cycle To Kolkata: Khushi the Cow is virtually cycling to Kolkata and is encouraging everyone to get on their bikes! On Your Bikes: The bike ride is over 6,000 miles long! Can we cycle to Kolkata? Cycle To Kolkata Dashboard: We are tracking where we are on our journey on the Cycle to Kolkata Dashboard.